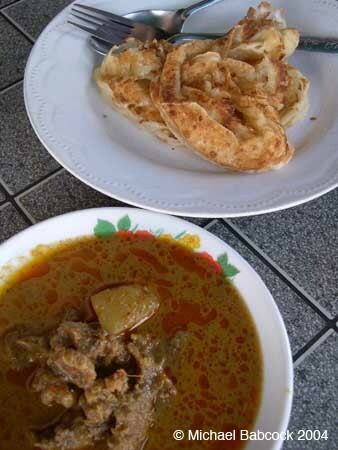 Roti: There are two types of roti. This is a plain roti, meant to be eaten with the curry pictured at the bottom. The other kind is sweet, finished off with sugar and evaporated milk. Check out Kasma's Roti article and Roti recipe.